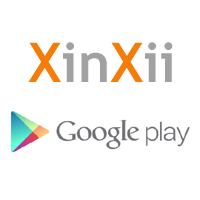 XinXii today announced a distribution agreement with Google, and we are pleased to present Google Play Books as another exciting sales opportunity for self-publishers. On Google Play Books, readers discover great books in every imaginable category, from the New York Times bestsellers to favorite classics and new releases: play.google.com/store/books. Argentina, Australia, Austria, Belarus, Belgium, Bolivia, Brazil, Canada, Chile, Colombia, Costa Rica, Czech Republic, Denmark, Dominican Republic, Ecuador, El Salvador, Estonia, Finland, France, Germany, Greece, Guatemala, Honduras, Hong Kong, Hungary, India, Indonesia, Ireland, Italy, Japan, Kazakhstan, Kyrgyzstan, Latvia, Lithuania, Luxembourg, Malaysia, Mexico, Netherlands, New Zealand, Nicaragua, Norway, Panama, Paraguay, Peru, Philippines, Poland, Portugal, Romania, Russia, Singapore, South Africa, South Korea, Spain, Sweden, Switzerland, Taiwan, Thailand, Turkey, Ukraine, United Kingdom, United States, Uruguay, Uzbekistan, Venezuela, and Vietnam. We are looking forward to continously expand our distribution network to grow our authors’ worldwide audience and sales in the months and years ahead. I have been waiting for this day for a long time, i am so happy. Thanks xinxii. Upload your eBook once and sell it on all leading eBook retailers including Amazon. Free ISBN, high-quality conversion, distribution, invoicing - we take care of everything. XinXii is used by more than 15,000 authors from more than 100 countries. "All in One" - one account for all leading eBook shops. XinXii - the efficient solution for self-publishers. >> How does it work: Your eBook is delivered quickly and easily to the shops of Amazon, iBookstore, WHSmith & Co.
>> Where does it go: The leading eBook shops worldwide to which we selectively deliver your eBook. XinXii is a leading global self-publishing and distribution platform for eBooks. XinXii empowers authors to easily upload and sell their eBook worldwide. XinXii offers free ISBN, free high-quality conversion and free distribution to all major eBook retailers.